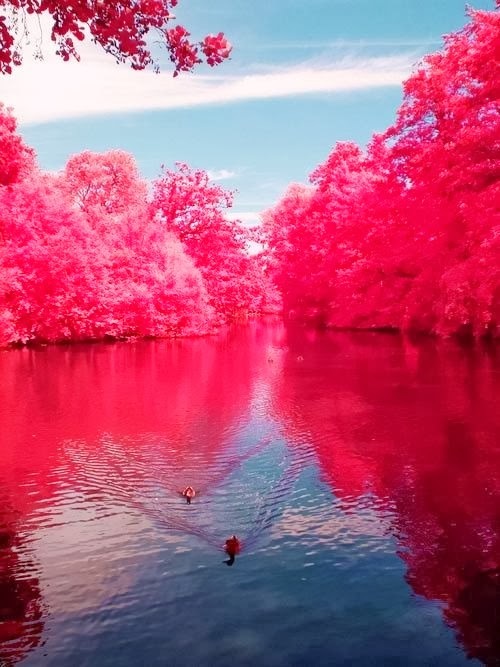 The Cherry River is a tributary of the Gauley River in southeastern West Virginia, USA. Via the Gauley, Kanawha and Ohio rivers, it is part of the watershed of the Mississippi River. The Cherry River drains mostly rural and forested areas and flows for much of its length through the Monongahela National Forest. Throughout its entire length the Cherry goes over a series of whitewater rapids in a mountainous setting. The upper headwaters of the Cherry begin as two separate creeks, the North Fork Cherry River and the South Fork of Cherry River, each of which rises in southeastern Pocahontas County and flows generally west-northwestwardly across northern Greenbrier County before converging in Nicholas County at the city of Richwood.